Master Handymen is a licensed and fully insured general contractor serving most of the Chicagoland area since 2006. We are a dedicated team with a commitment to your satisfaction whether it be a small repair or a large remodeling job. 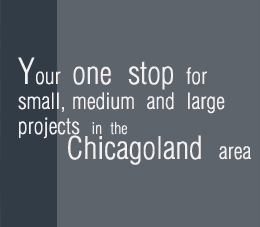 We have a General Contractor's License from the City of Chicago for projects costing up to $500,000 dollars. We carry a million dollars of General Liability insurance and a million dollars of Workers Compensation coverage.